Designed skillfully to combine functionality with aesthetics, the Abella Serving Cart is the most apt fit for your kitchen that is specifically designed to serve your hosting needs. It is easily the best depiction of form follows function, where the piece of furniture is addressing the user’s functional use primarily. The mix of materials, glass and steel is sure to give out a poise image. The simplistic design is precisely what makes it stand out while serving the purpose accurately. 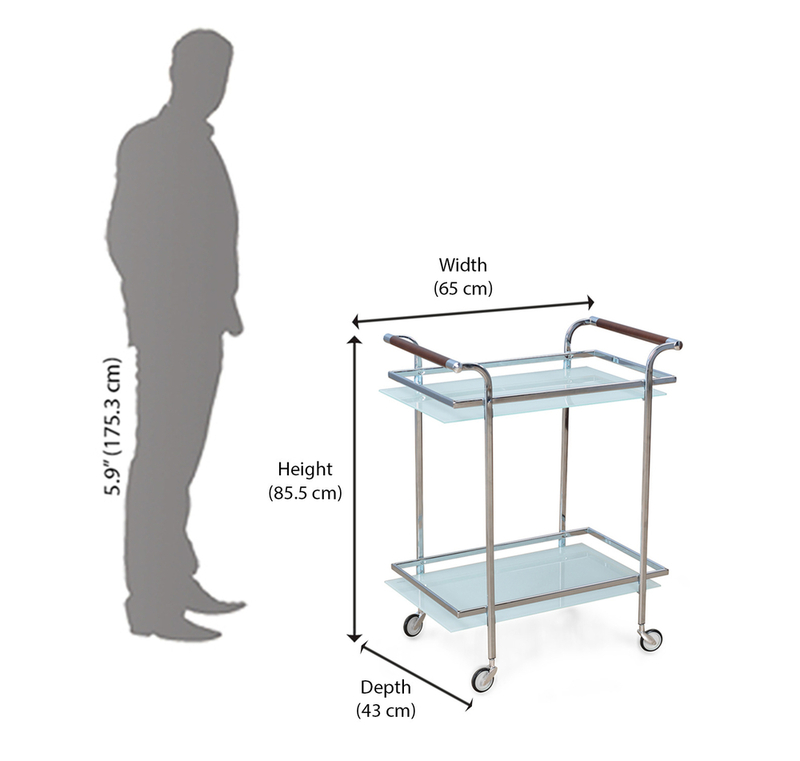 MS chrome plated Frame Provide Sturdiness.Caster for smooth movement of trolley. Avoid keeping very hot or very cold materials on the wood directly, always use coasters or mats.Any spillage should be wiped away with a dry cloth immediately. Most of our furniture is made of natural materials, which will have natural differences and the occasional minor blemish.• Avoid floor cleaning water interaction by using carpets & rugs for dining sets & coffee table.